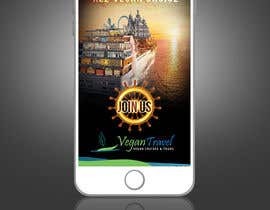 We will be a running an APP promotion soon to target vegetarians, vegans, and health food seekers. 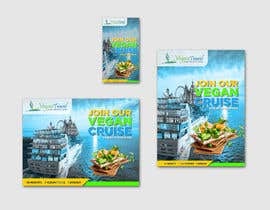 We want to tell them about our all vegan ocean cruise to the Baltics. 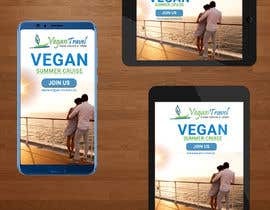 All APP users of a vegan restaurant app will see our ad and decide within seconds if they like it (and click) or not. We are talking about full screen ads. Phones: 320x568 (portrait) (up to 50 kb), Tablets: 768x1024 (portrait) (up to 100 kb), 1024x768 (landscape) (up to 100kb). Be as creative as needed. This is to attract attention. 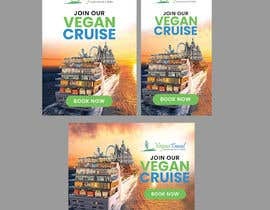 Food, sea, ocean, sun, cruise - you decide on your direction. It’s important to remember that banner ads don’t have to be black&white and ugly. 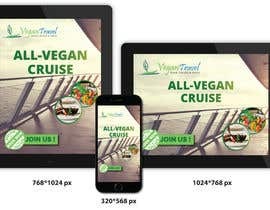 Use quality graphics, make the banner appealing, and don’t forget a clear Call to Action! The trick will work because people tend to react better to visually-appealing content.